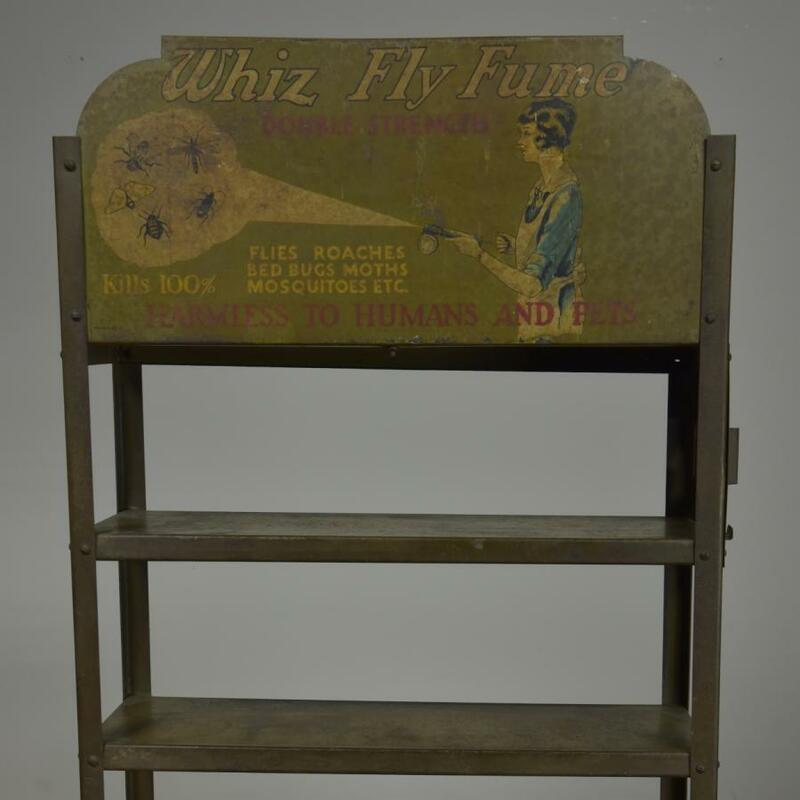 Unusual antique US steel shop shelf unit originally selling Whiz Fly Fume insect killer. 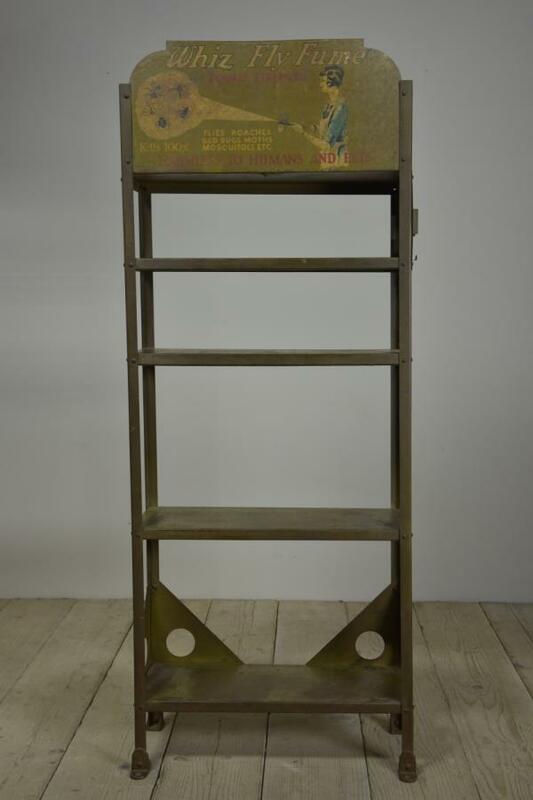 Dating from approx late 1920s/early 1930s this American painted steel merchandising unit retains its original advertising and paint and has cast feet that can be screwed to the floor. It has been thoroughlly cleaned and waxed for protection. 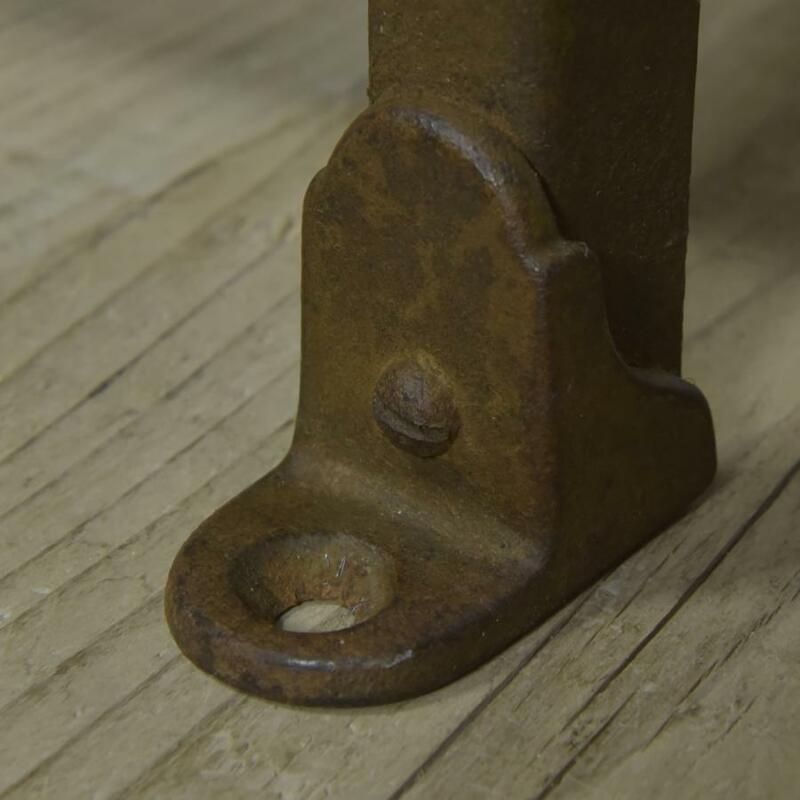 It is sturdy. Dimensions in inches/cms; 59.5"/151cms high x 23.75"/60cms wide. Max. depth is 12/30. 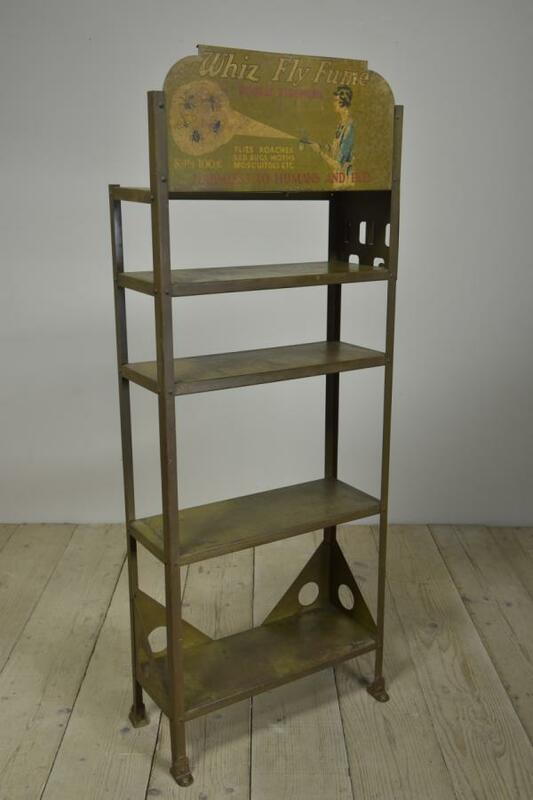 Shelves are 23"/58.5cms wide by 8.75"/22cm deep Useable heights in inches between shelves : 2 at 6.75"/17cm and 2 at 13.5"/34cms ( Plus there is a top shelf behing the advertising sign.) For more or higher res images please see my blog which can be accessed through the news section of this (haes) website.